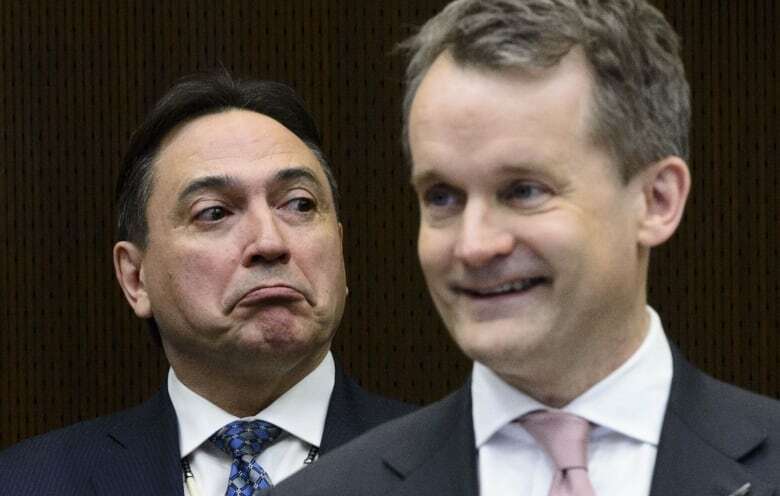 Indigenous Services Minister Seamus O'Regan unveiled a sweeping overhaul of the Indigenous child welfare system Thursday, the largest such change in a generation. It will effectively hand over control of these services to Indigenous governments in an effort to tackle "crisis" levels of First Nations, Métis and Inuit children in foster care. The legislation, Bill C-92, would cede jurisdiction on this matter from other levels of government to Indigenous peoples so that they can care for their own children in a culturally appropriate way. An Indigenous-led child welfare system is a departure from how the current system works, which leaves most Indigenous kids housed in provincially governed child welfare systems that critics say are inattentive to their unique needs. "This legislation affirms the inherent jurisdiction of Indigenous families and communities so they are the ones to decide what is best for their children, to ensure the best interest of the child, cultural continuity and substantive equality are the principles and priorities in any situation and send a clear directive that children cannot be separated from their families regardless of their socioeconomic status," O'Regan said Thursday. O'Regan touted the legislation as an "entirely new process." 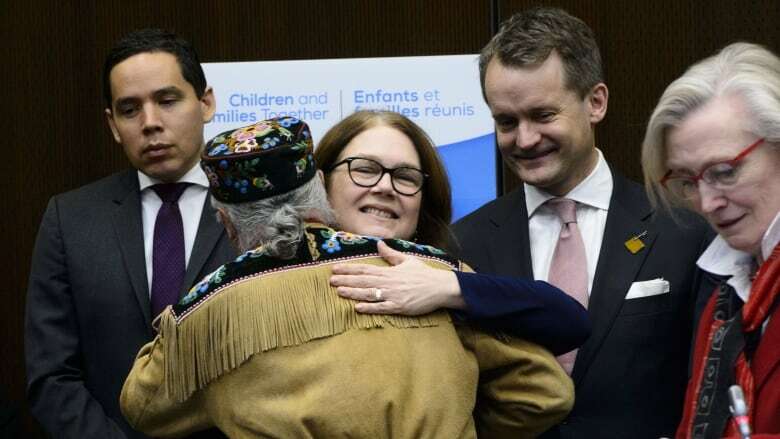 Treasury Board President Jane Philpott, the former Indigenous services minister, said the Liberal government has done many positive things but this change is perhaps the most important. "This bill will change people's lives," she said, recounting the stories of many impoverished Indigenous women who see their babies apprehended shortly after birth. In recognizing Indigenous communities as the entities best placed to care for Indigenous children, O'Regan said Ottawa is committed to keeping families together and reducing the number of Indigenous children in care. To draw that number down, O'Regan urged a speedy passage of the bill through Parliament. "An entire generation of Inuit, Métis and First Nations children and youth are counting on us to get this right. We cannot let these children down. We will not let these children down," the Newfoundland and Labrador minister said. Assembly of First Nations (AFN) National Chief Perry Bellegarde praised the bill, saying Ottawa is finally committed to giving the Indigenous and treaty rights guaranteed in the Constitution some practical application. "The tragedy of thousands of First Nations children in care tells us we need a new approach," Bellegarde said. "The time is long overdue for First Nations to finally regain responsibility over our children." Crown-Indigenous Relations Minister Carolyn Bennett said the bill shifts the focus "from apprehension to prevention" by prioritizing services like prenatal care and support to parents. Programs for teen parents, rehabilitative family services, substance abuse treatment, warnings about fetal alcohol syndrome and other education campaigns are some of the prevention programs used in some jurisdictions. The bill also moves away from a system that takes children from their families simply because of a lack of housing or related infrastructure, or state of health of the child's parent or caregiver. The shortage of First Nations foster homes is often attributed to provincial standards around what is considered "acceptable" housing — on standard living conditions but even for things like room dimensions or the perceived cleanliness of a mattress — that many First Nations reserves, with poor infrastructure after years of chronic underfunding, are unable to meet. "If the house is too small, then for goodness sake let's figure out how to get a bigger house. Let's find a way to make sure families stay together," Philpott said, adding if parents are unable to care for their child then authorities should first consider family members like grandparents or aunts and uncles before turning to non-Indigenous foster parents. While Bill C-92 is s "high-level" document that outlines new governing principles, Bennett said, Ottawa has also convened a number of "trilateral tables" that will see federal, provincial and Indigenous governments meet to hash out new child welfare agreements and settle on best practices to put in place on the ground. Many fear the current system — which regularly seizes children from their families and communities and places them with foster parents — replicates the mistakes made by the Indian residential school system and through the Sixties Scoop, alienating kids from their traditional language, culture and support networks. O'Regan affirmed Thursday that Ottawa has already made some key policy shifts to rebuild the broken system by moving away from a model that almost exclusively tied funding to the number of kids in care. Advocates have said a per-child funding equation provides incentives to agencies to apprehend more children to pad the bottom line, essentially transforming at-risk children into commodities. In the last budget, the government committed $1.4 billion over six years in new funding for the child welfare system meaning it spends in excess of $1.1 billion every year.